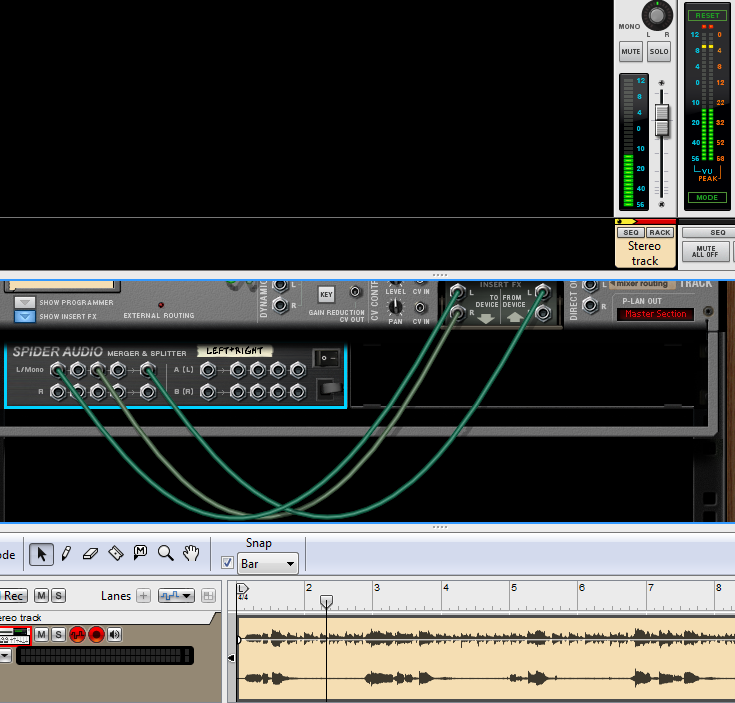 ...turning it into a true mono source, even showing up in Record's Main Mixer as a mono track. The slower (and destructive) way is to bounce it to disk, turn it into mono with a wave editor, save and re-import the now mono track or clip back into an audio track. There's plenty of ways to do this without any of that trouble, so I'll show one of the simplest, cleanest and quickest way I usually use to quickly choose one of the channels within the Audio Track Device without the need for any extra Track Devices. 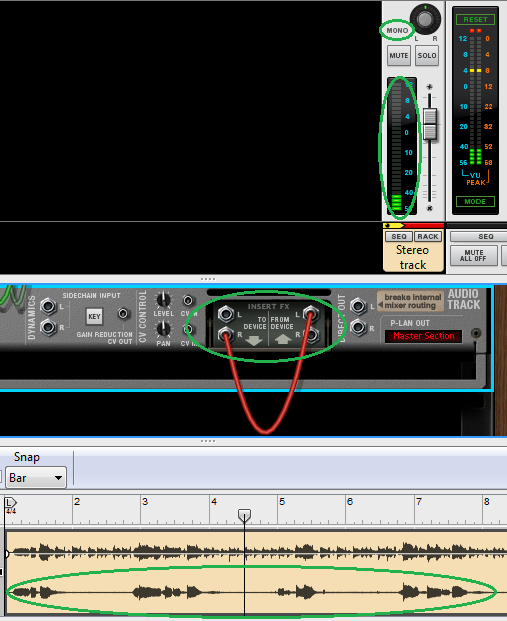 Simply open the device and at the back and in the Insert FX section, connect the channel you want into the Left channel of the "From Device" inputs and that's it. 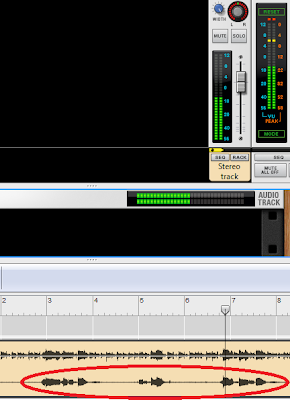 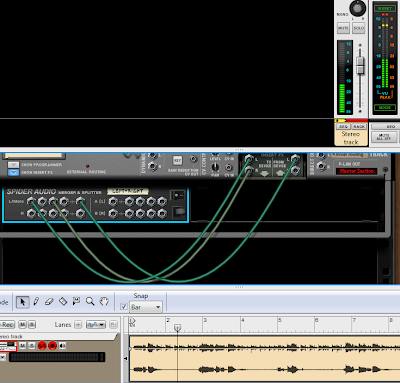 The audio clip's still a stereo one, but the audio signal path up to the Main Mixer is now a true mono track. If you need that segment of the right (or left) channel to further work with or turn it into a playable sample, you can simply sample it internally, connecting the left output of the device's Direct Out into the Sampling Input on the Audio I/O section's back, at the top of the rack. 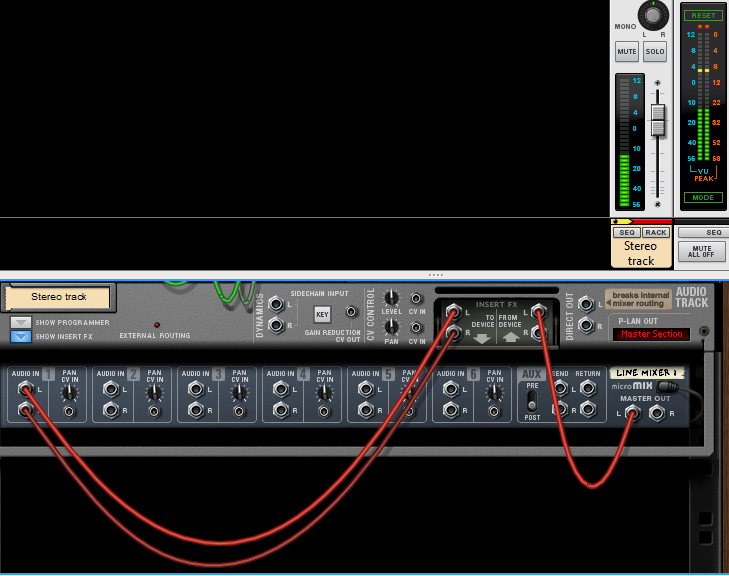 Speaking of sampling, this is also one way of doing mono sampling, you simply disconnect the Right channel of the Sampling Input to achieve mono sampling from whichever source you need.